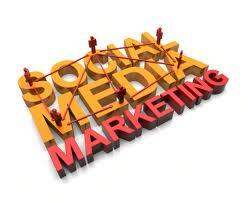 If you want to attract a significantly huge amount of audience or gain their attention, social media is a good option. Marketing at social websites benefits you the most as a vast population will become witness to your advertisement, hence these social media websites play a vital role in boosting a business's economy. However, the converse is also true. 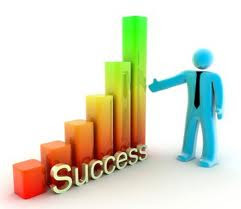 At times business can be effected in the negative way as well. So if you are marketing your business on these social websites, you need to be well acquainted with the best utilities to use and what not to do. How to Send Money to PayPal Without Bank Account? If you are looking forward to boost revenue from your business or blog by marketing and advertising on social medias, here are some important tips you need to avoid. Marketing through your social media fan page and uploading your statuses or tweets at a time of a national or International crisis is never recommended nor appreciated. The reaction of the local market will turn into pessimistic views about your business or blog that you are advertising. I t is important to be sensitive to such issues and crisis and manage accordingly. Try to be moderate with self promotion. Obviously you can not avoid it completely but do not drag your self entirely into it. Its better to hear about customers and people talking about your business rather than you talking about it yourself. Remember to appreciate your viewers and followers at a time of success and make them feel that they are a vital part of your business in a unique way. Everyone likes to be appreciated, why not make those smile who earn you revenue through providing the traffic? Being connected with your customers on social media does not necessarily mean to schedule your tweets and posts. IF you keep updating your statuses on Facebook or Tweets on Twitter after every few minutes, people might now respond to your queries. This can lead to an adverse effect on your business. People will get an idea that no actual customers services are present behind this automated post, just the virtual banners. Always be careful when passing remarks about a certain brand or a person. This can lead to a significant adverse effect on the business as you will lose clients. Remember that you cannot undo whatever you do on the internet. Always keep tone humble and be respectful even to your competitors in the market and pass a statement of appreciation for them always. Although these factors apparently seemed to be pretty obvious, but most of the advertising/marketing campaign lack them. Keep these important tactics in mind when you are running on advertising your blog or business on the social media. They shall surely help your boost your business's economy. How-To: Beginners Guide to Google Trends! How to Automatically Delete Old Emails in Gmail?